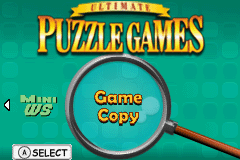 Telegames has teamed with Puzzle.tv, the world’s leading quiz-meisters, to create the largest and most comprehensive compilation of puzzle games ever released for a portable gaming system. 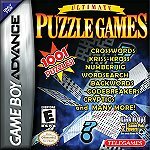 1001 different puzzles - with an average solution time of 10 to 20 minutes each. 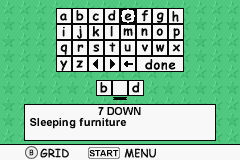 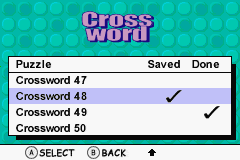 Multiple variations of each puzzle type, including sections for younger players. 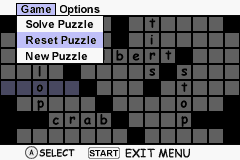 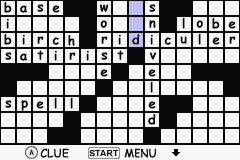 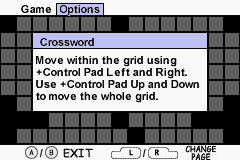 Scroll your "cursor" around to reveal the huge multi-screen puzzle grids. 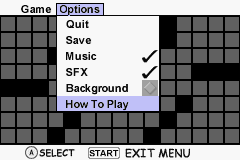 PC-style menus allow easy and intuitive operation. 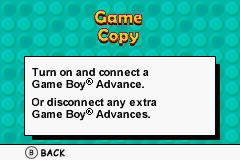 "Game copy" feature allows a sharing of puzzles by downloading them to other GBAs for unlinked, independent play. 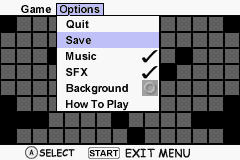 It’s even easier than sharing music files…and it’s FREE! 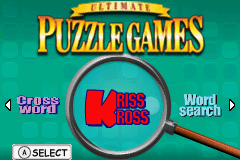 Purchase it now at Walmart, Amazon, or TelegamesDirect.